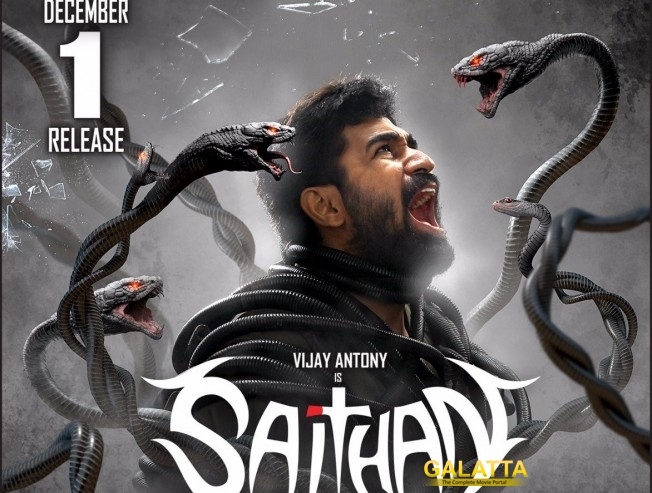 Vijay Antony's Saithan release, which was postponed indefinitely due to rupee demonetization, will now grace theatres on Dec 1. Saithan is released by Mahesh Govindaraj of Auraa cinemas. In the film, Vijay will be playing a software engineer. Directed by debutant Pradeep Krishnamurthy, the film has Arundhathi Nair, Chennai-based bike racer Alisha Abdullah and Meera Krishnan in the lead. In a bold move, the team recently released first ten minutes on YouTube and it has already grabbed 3 million views.